Yesterday I took the boys to the Tucson Reptile Show where Lucian got his face painted. This time last year I tried to paint his face for a Halloween costume and he wanted no parts of it. My how much changes in a year!! Funny how life has a way of changing things up on you. I always envisioned playing makeup and dressup with a little girl someday. Up till now I was kind of struggling with what to do when my sons ask if they can wear makeup. Now that he digs facepainting, I have a new way to repurpose old makeup. Next, Lucian is going to paint a snake on my leg while Keagan is napping. I'm so glad he's enjoying this craft. It's great for fine motor skills and creativity. Do you think the moms of Mötley Crüe members thought the same? While I don't always like to blow my own horn, perhaps you wouldn't mind pressing this play button to hear an interview where I was the featured guest! 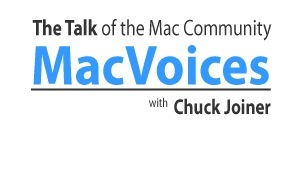 It was an honor and a privilege to be interviewed by Chuck Joiner for MacVoices. I know I tend to ramble but it's just so stimulating when I get to talk shop with another adult! I mean, Lucian is starting to understand more and more, but Keagan just drools when I explain why it's so important to run backups and repair permissions. Ok, so that's not a stretch compared to some other adults in my life, but it was extremely refreshing talking to Chuck Joiner. He's been podcasting since the dawn of this new media and it shows in his smooth interviewing skills. Chuck is very easy to talk to and made me feel right at home. Well, I mean, I was at home in my pajamas at the time — I think you know what I mean. In the future, I look forward to being summoned for jury duty! The MacJury is a fun panel to be on where we will weigh in on a topic about current events in the industry surrounding Apple and related technologies. Tune in to that show and catch me on a future episode! If you haven't done so already, check out Chuck's family of shows which includes: MacVoices, MacNotables, The MacJury, and MacVoicesTV. You can subscribe for free in iTunes. It's a great way to get to know people in the Mac community, make friends and learn something new. Whether you're a newcomer or an old pro, there is a show for you. I did some name-dropping during the interview. I'd like to list some links for reference. If there is someone I missed, please drop me a comment and I'll edit this post. Betty White WITH Abed and Troy. This put a smile on my face and an ohrwurm in my head. A little about Habitat for Humanity from their website: "...Habitat for Humanity was founded in 1976. As a nonprofit, ecumenical Christian housing ministry, the organization seeks to eliminate poverty housing and homelessness from the world and to make decent shelter a matter of conscience and action. To accomplish these goals, Habitat for Humanity invites people of all backgrounds, races and religions to build houses together through volunteer labor and donations in partnership with families in need. Today, they have built over 350,000 houses worldwide and have provided more than 1.75 million people in 3,000 communities with safe, decent, affordable shelter."